St Paul’s Church is listed Grade II* because of the quality of its architecture and furnishings. The architects were Somers Clarke and John Thomas Micklethwaite, a very respected partnership who later became Surveyors (chief architects) to St Paul’s Cathedral and Westminster Abbey respectively. St Paul’s Church has been described as “the late Victorian suburban church at its best”: Gothic in style, plain red-brick with stone detailing on the outside and a much-admired Victorian Gothic interior, noted for its light and spacious quality. 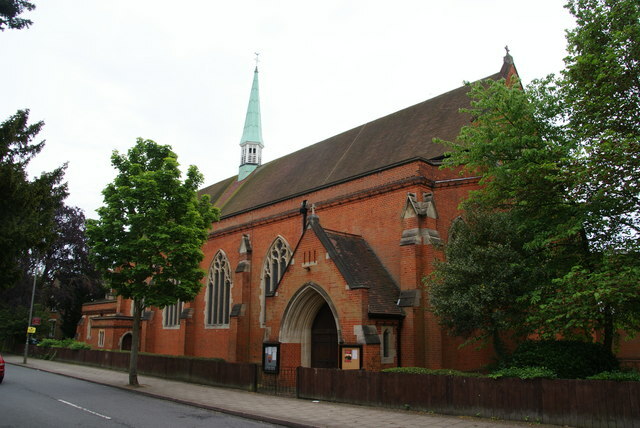 The church is located at the top end of Augustus Road at the junction with Inner Park Road, which itself leads to Wimbledon Parkside. Bus route 93 stops on Wimbledon Parkside, and routes 39 & 493 also have stops within 5 minutes of the church. Southfields tube station is at the lower end of Augustus Road and is about a 10 minute walk away. Parking in the residential streets is very limited.